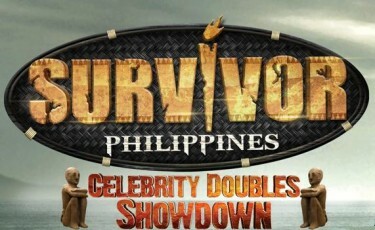 The most dramatic, most dangerous, most exciting Survivor Philippines season yet, begins this Monday (November 14, 2011)! This season, doubles are in. Making its explosive debut on primetime TV this Monday, November 14, SURVIVOR PHILIPPINES CELEBRITY DOUBLES SHOWDOWN is all set to unfold double the danger, twice the drama, and the excitement times two! With ten pairs of celebrity castaways leaving their comfort zones and braving the unknown – trying to survive against life-threatening storms, dangerous creatures, and scheming tribe-mates out to win the game – the stakes are definitely higher than ever. And returning Survivor Philippines host Richard Gutierrez knows this by heart. “Richard understands the different aspects of the show very well and he is fully aware of all the dangers that this new season could offer. As such, he is more prepared and focused as he returns to host Survivor Philippines Celebrity Doubles Showdown,” says GMA AVP for Public Affairs Leo Sanchez-Matias. “Aside from being a host, Richard is also a part of the production team and he shares his ideas even during the pre-production stage. He is simply a joy to work with,” adds Matias.